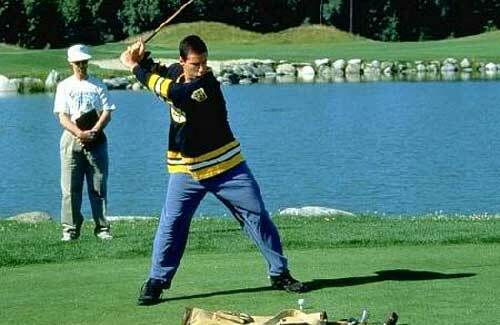 This list isn’t about the ten best comedies ever. There are so many different types of comedy movies that any list like this is going to have its fans and huge detractors. What is hard to deny is when an individual actor puts one such a strong showing that the comedy succeeds on their shoulders alone. So this list is of ten of the best comedic performances to remember, performances where the star or stars made the comedy what it was. Simon Pegg plays the leading role of Shaun, a normally average man, on the verge of being a loser, who is likable and easy to relate to. 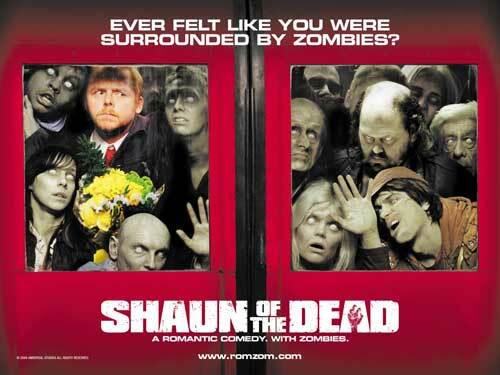 From the start, Pegg’s personality dominates this great horror/satire/comedy. From the opening scene with his groggy waking up moan to his interaction with his flat mates, Pegg’s performance is commanding, and he consistently steals the scene. This is a fantastic movie, and I can’t imagine any other actor being able to pull this character off to the same level. Ron Livingston plays a fan favorite in character Peter Gibbons. 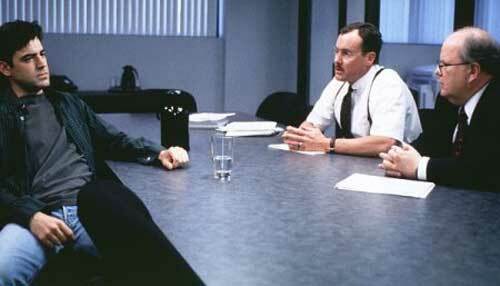 A hero to many an overworked cubicle white collar worker, Livingston’s portrayal of the hypnotized don’t care you can’t push me around worker helps this film by making every understated joke hilarious, adding depth to every punch line. By not going over the top, by just being normal, Livingston has a gravitas in this film that you usually don’t get from a hero who says I just don’t want to do anything. If he had messed up this character even a little, this movie wouldn’t have worked at all. Adam Sandler makes this film. 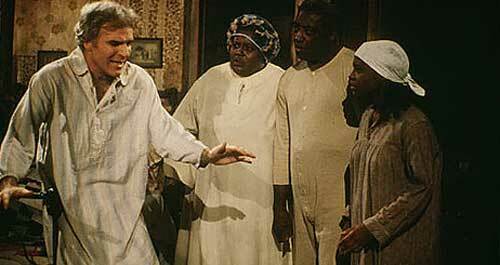 This may have been one of his best roles, and probably his best comedy. This character of Happy Gilmore is intense, strange, and has that edge that makes him crude yet likable, rebellious and a little scary. That touch of instability is what makes him work, and this is a popular comedy that doesn’t work with anyone other than Adam Sandler—something that can’t be said about most of his other films. A lot of people will argue with the statement I’m about to make, but this was a really dumb movie. 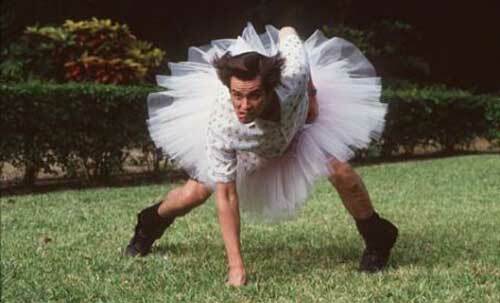 Still, Ace Ventura is an extremely original character, and this movie has a lot of fans for only one reason: Jim Carrey. Jim Carrey took his slapstick physical comedy to its most extreme levels in this movie, and love him or hate him, the role is an unforgettable performance. 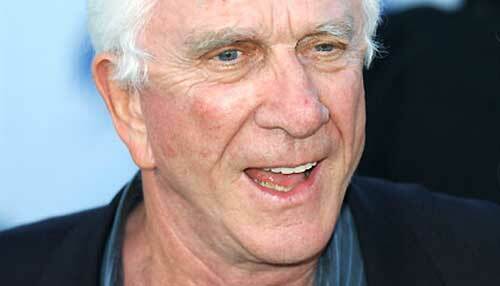 Leslie Nielsen is known for a series of these films, but I really do believe the first one was by far and away the best, since in later movies they kept dumbing his character down more and more. The physical humor and timing of gags were at their funniest here, before a lot of imitators dumbed these types of movies down. While I don’t care for any of the sequels, Leslie Nielsen’s performance here made this movie, and the franchise of sequels to follow. I remember as a kid watching this Laurel & Hardy movie during the holidays and loving it. Years later I worried it wouldn’t hold up, but I should have known better. 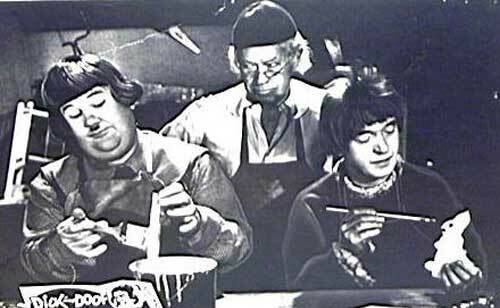 Babes in Toyland is Laurel & Hardy at their slapstick best. Every expression, every line, every gag is a joy in this film, and no other duo could pull off the movie the way these two could. This film has the distinct honor of having two actors who gave amazing, memorable, comedic performances. While everyone knows Jeff Bridges was absolutely amazing as The Dude, and his acting of that character is one of the best comedic performances ever, in my opinion it’s only the second best of the movie. 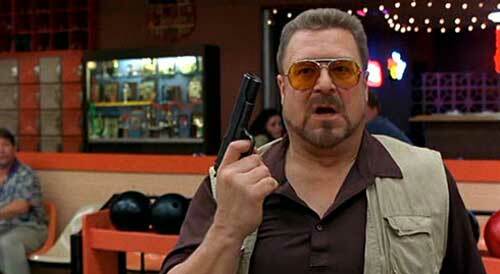 John Goodman as Vietnam veteran and hilariously dysfunctional person Walter Sobchak takes the cake. From pulling a gun at a bowling alley because he was over the line, to jumping out of a car with an Uzi, to not watching the wind while scattering the ashes: everything has to go back to ‘Nam, and this character gives the movie and extra boost that makes it extraordinary. I have never seen a movie so affected by the generation gap as this one. If you’re 30 and younger, you generally love it. If you’re older, you generally hate it. 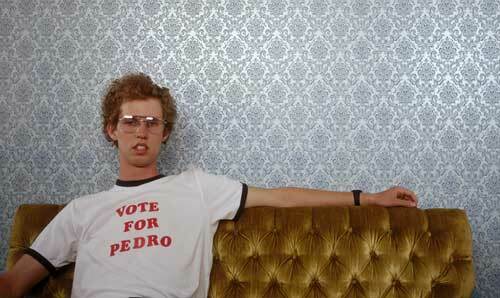 John Heder is amazing as the dorky but likable Napoleon Dynamite, coming out as one of the most original characters. He nails the performance, and carries this film on his back. I just can’t imagine this movie being anything but a flop without Heder’s fantastic comedic acting and great portrayal of the poor American dorks. Alas, this movie brought back memories of high school. I feel the pain. This movie more than any other allowed Steve Martin to display his acting skills in an understated, yet hilarious comedic performance. It may not have been his best movie, but as far as one actor carrying a film, this is Steve Martin putting in a great performance of timing and self-deprecating humor. The end scene especially is one that has me laughing so hard tears roll down my face, and I just can’t believe he pulled it off. As a singular performance, Steve Martin was amazing in this one. This movie is full of great characters, but John Belushi may hand in the best comedic acting job in history with this incredible performance. Every time Belushi is on screen he is the focus of attention, from his great rants about Germans bombing Pearl Harbor, to the famous ladder scene, Bluto is an unforgettable character who is charismatic, hilarious, and intense. 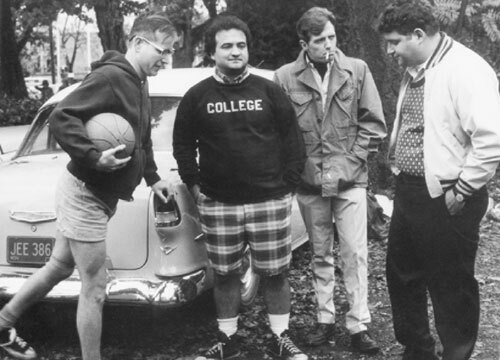 Without him, this is just another forgotten college comedy. With him, this is one of the all time classic comedy films.